I know, I know. Why do you need another Pumpkin Cookie recipe? 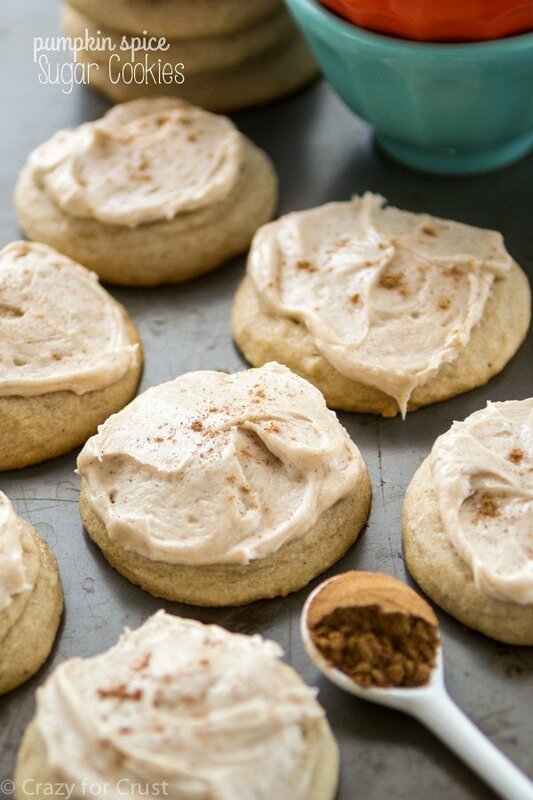 Simply stated, because these are the best pumpkin cookies you’ll ever eat. Also? 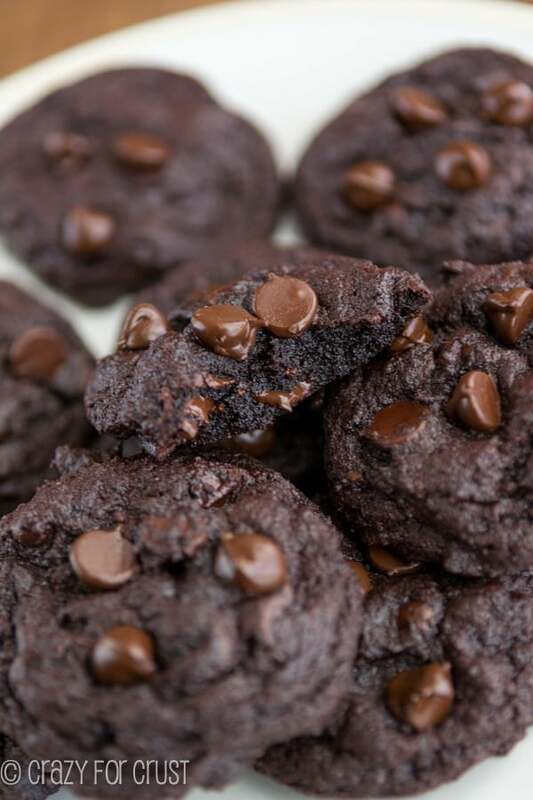 They’re full of triple the chocolate chips! These Triple Chip Pumpkin Cookies are easy to make and are the perfect fall pumpkin cookie recipe! I do this every year. I make a recipe way ahead of time and then I sit on it until I figure out “just the right time to post” and then all of a sudden the same recipe is everywhere. This year these cookies are that recipe. Every year when this happens I think, oh well. I’m too late. I’ll just hold onto those photos until next year! And then next year comes and I’ve forgotten about them, or lost the recipe, or deleted the photos, or hate the photos, or … you get the idea. That stops this year. Because these cookies? They deserve their day in the spotlight. Even if the internets are full of eleventy-billion other pumpkin cookie recipes. Besides, these cookies are different than all the others. I think they’re the best and they have triple the chocolate chips! This cookie recipe is one that I teased back in August when I posted my Pumpkin Nutealla Cookie Bars. You see, I’d made this recipe (several times) way back in July. Then I made those bars and my head exploded, so I had to post them ASAP. I promised that the cookie base was the best ever and that I’d go into cookie science in a future post. This is that post. It’s my “How to make the perfect pumpkin cookie” post! Step one: make this recipe. 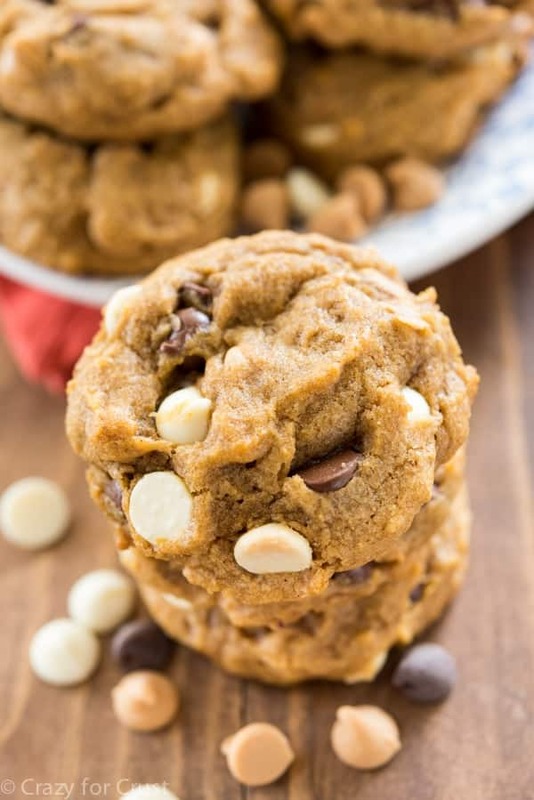 Triple Chip Pumpkin Cookies are a fall favorite cookie recipe! Alright, so let’s talk cookie anatomy. How do you make the best ever pumpkin cookies? Sometimes you don’t want a cakey pumpkin cookie. Sometimes you want a chocolate chip cookie that tastes like pumpkin. And this recipe, the 8th try, is the one that works. The result of this recipe is a chocolate chip cookie that’s a little softer than a regular chocolate chip cookie, but it’s chewy too. It’s got the exterior look and texture that you’d expect from a regular cookie, but it tastes like pumpkin. 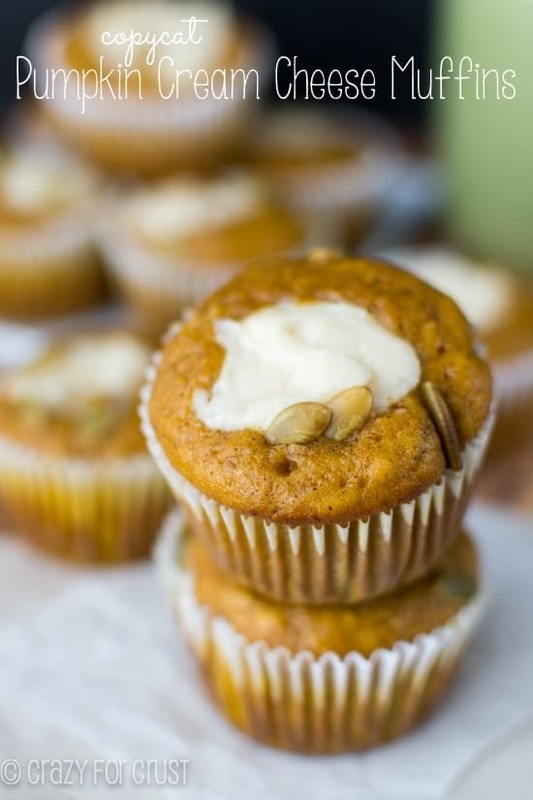 It only uses 1/3 cup of pumpkin puree. I know that doesn’t seem like a lot, but remember that while pumpkin brings with it orange color and weird texture, the pumpkin spices inside the cookie are what give the “pumpkin flavor” you’re used to. While I hate wasting eggs, this recipe uses only 1 egg yolk. Just discard the white, or whip it up into a meringue or something. Many pumpkin cookie recipes skip the egg, but I tried it both ways. Without the egg the cookie texture just wasn’t what I wanted it to be. Adding the yolk gives that cookie texture you expect. Instead of using pumpkin pie spice, I used the components: cinnamon, nutmeg, ginger, and allspice. You can use 2 teaspoons of pumpkin pie spice if you prefer. The dough does require chilling. The pumpkin adds so much softness to the dough, you must chill it! Don’t skip that step or they will not turn out as pretty as mine. Like most of my favorite cookies, this recipe starts with melted butter and lots of brown sugar. I used dark brown sugar, which deviates from what I normally use. Honestly? I did that because I bought the wrong kind (ha!) but you know what? I loved the extra depth the dark brown sugar added to the recipe. Feel free to use light brown if that’s all you have. The Triple Chip comes from a combination of three kids of chocolate chips. I used white, semi-sweet, and peanut butter chips. You can use any combination of chips you want: white, milk, semi-sweet, butterscotch, or peanut butter. Just use 1 1/2 total cups. The result? 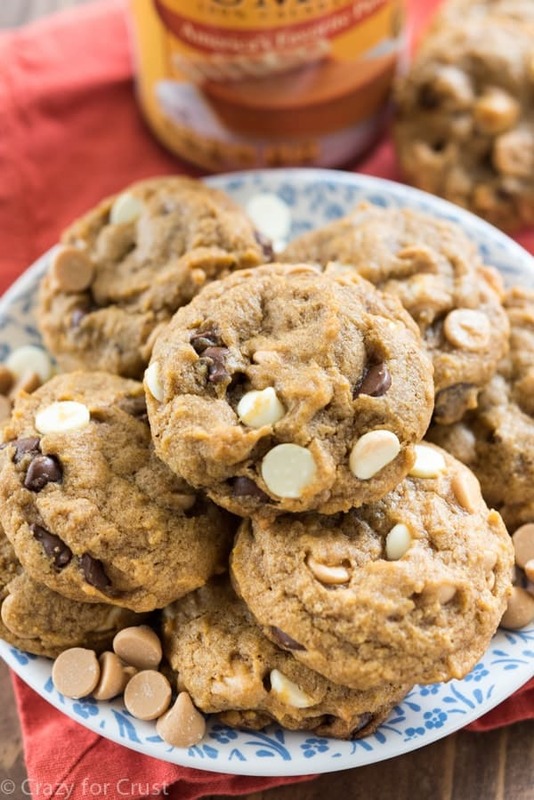 A tender yet chewy perfectly pumpkin cookie recipe. It makes your house smell like fall and each bite is like a little bite of heaven. Even if there are a million and twelve other pumpkin cookie recipes out there, this is the one you need. 🙂 Enjoy! This Triple Chip Pumpkin Cookies recipe is the ONLY pumpkin cookie recipe you'll ever need. 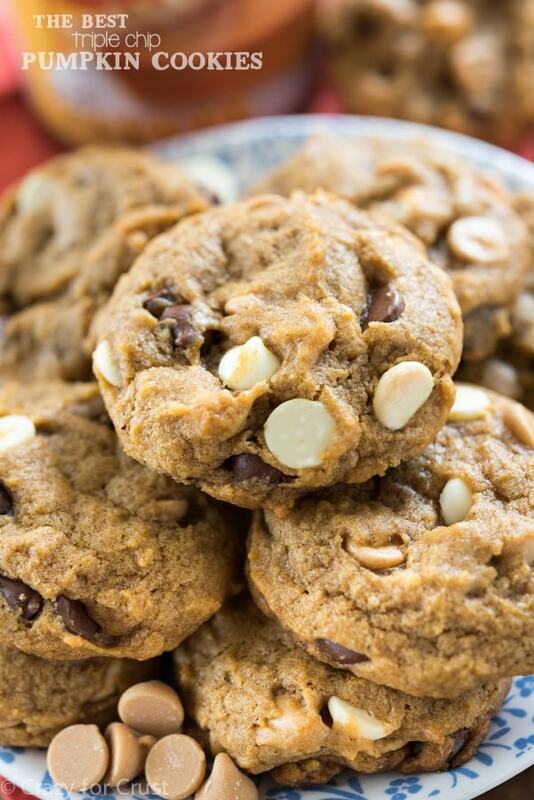 Soft and chewy and full of fall flavor, it's my new favorite cookie recipe! Note: you can use up to 1 1/2 cups of any of your favorite chip or mix and match like I did. Place melted butter, pumpkin puree, dark brown sugar, and granulated sugar in the bowl of a stand mixer fitted with the paddle attachment. (You can also use a hand mixer.) Mix until combined. Continue mixing and add the egg yolk and vanilla extract. Add the baking soda, salt, nutmeg, cinnamon, ginger, and allspice and mix until combined, scraping the sides of the bowl as needed. Slowly mix in flour until a smooth dough forms. Stir in all your chips. Line a cookie sheet with a silpat baking mat or parchment paper. Scoop 2 tablespoon balls of cookie dough and place them on the cookie sheet. You can place them right next to each other, this is just for chilling. Cover the cookie sheet with plastic wrap and chill for at least 2 hours. Preheat oven to 350°F. Spread cookies onto 2 lined cookie sheets and bake for 12-15 minutes, until the tops are no longer shiny and the bottoms just start to turn brown. Let cool completely before removing. Store in an airtight container for up to 3 days or freeze for up to one month. Bars would be perfection. I’m glad you enjoyed them! Ohhh, these are amazingly delicious! Even though these may be considered a fall/winter holiday cookie, I know I’ll be baking these year-round! I just chilled the dough in the bowl, covered, for several hours. Saved room in the refrigerator. I used an ice cream scoop to put them on parchment. Also made them with 1/4 cup soft butter and 1/4 cup butter-flavored shortening (I like the combination of the two), and they turned out fine. Praises for such a delicious recipe!!!! Great to know! Glad you liked them!! I made these over the Christmas holiday and I have to say the only note I would add is….make two batches. Not one, at least two. These went the fastest of everything I made this year. Both of my nephews loved them, my mother loved them, even my neighbors loved them. Added bonus, they make the house smell amazing, no joke. This will be added to the list of cookies I will make during the fall/winter season. I just made these delicious cookies – two batches! I plan to freeze one and devour the other (with the help of my daughter’s girl scout troop). The only change I made was that I added 1/2 cup butter finger pieces to the batter. Oh that sounds like the best addition ever!! Enjoy!